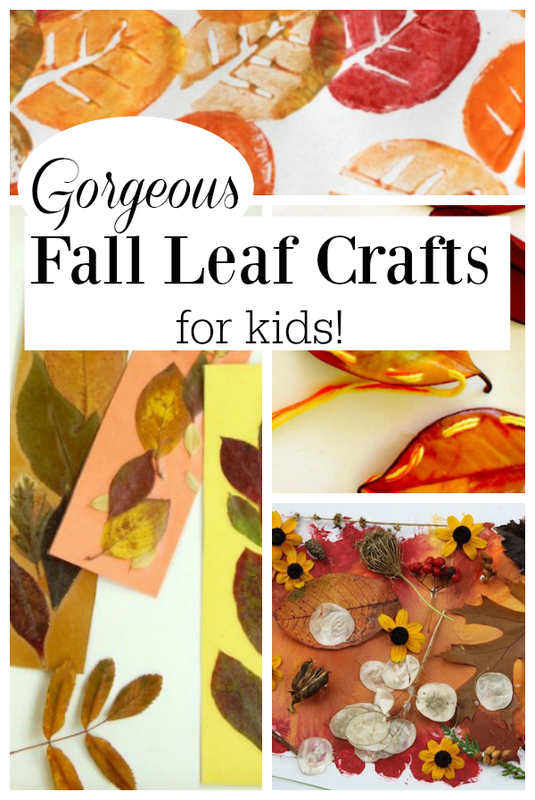 I feel as though I need to begin this post on Fall leaves crafts with an apology. I am sorry if it feels as though I am rushing past summer and right into Fall. I am not meaning to – I am just a bit of a planner. 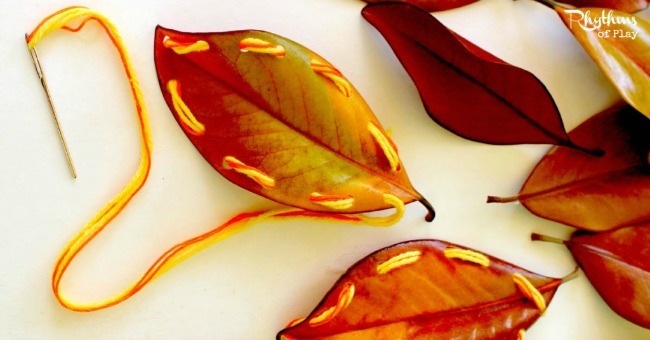 Anyways, this post on Fall leaves crafts might seem to have come out from behind the sunny poolside and smucked ya, and if so I really am sorry. But guess what? We have some red leaves. And leaves just don’t lie. None of this is really relevant. I am simply here today to tell you that very soon I believe you and I will find ourselves crafting with Fall leaves with our little ones. So we better get ready. Sewing a Fall Leaf Crown – Use real sewing skills to make a colorful crown of leaves. Great for pretend play or just to celebrate the season. 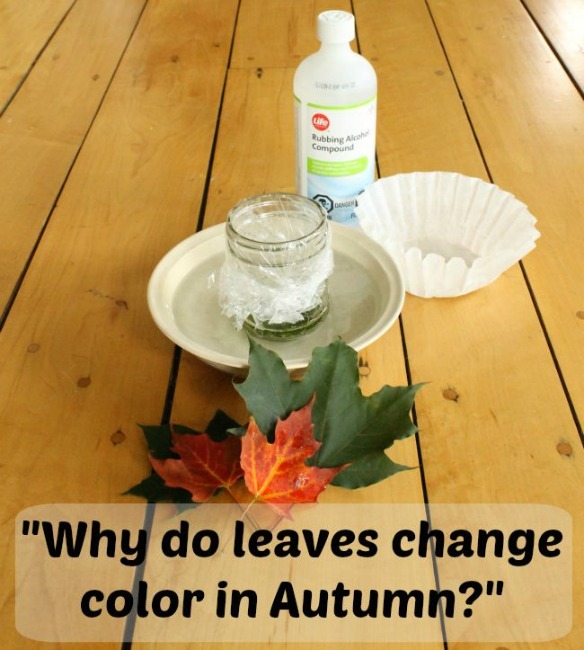 Why Do Leaves Change Colour? 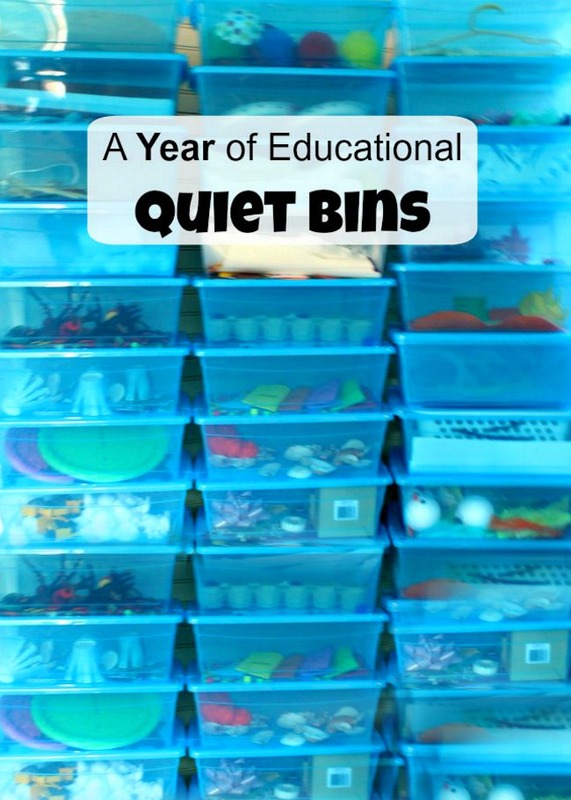 – A fun, hands-on way to answer that question with the kids. 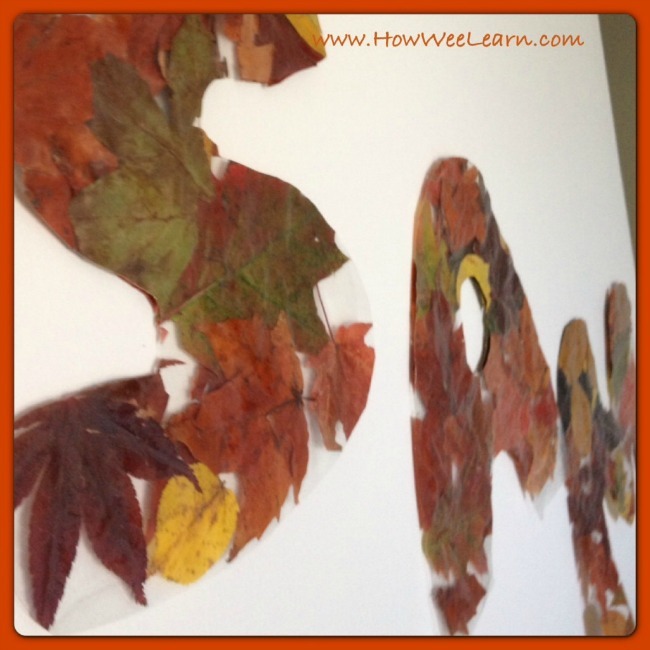 Fall Leaf Letters – Turn some leaves from the backyard into fall letters. 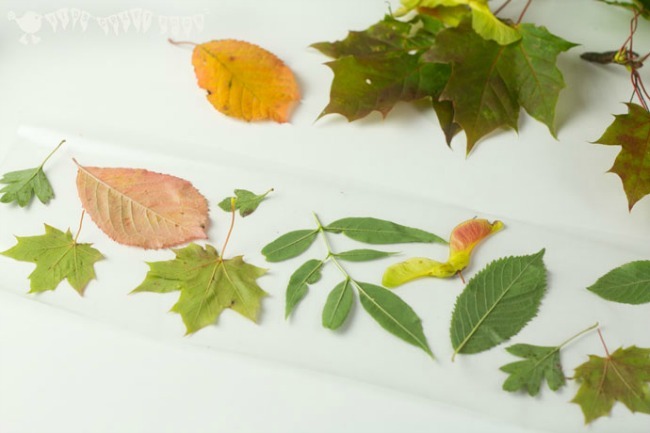 Kids can practice their alphabet knowledge or even create their names out of leaves. 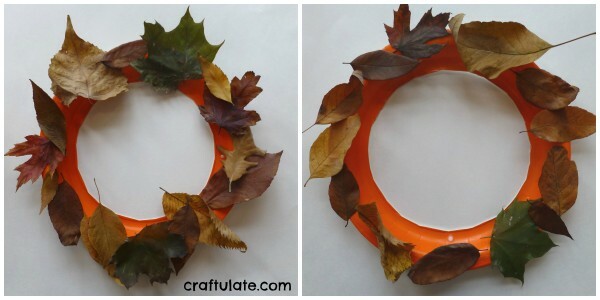 Preserved Leaf Wreath from Craftulate – Preserve finding from a leaf hunt and turn them into a decoration for the front door. 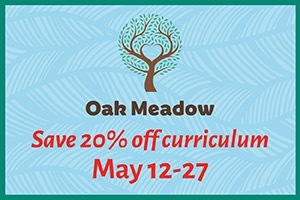 Leaf Sculptures from The Educators’ Spin On It – Explore STEM concepts with the children as they design, create, and test their leaf and nature sculptures. 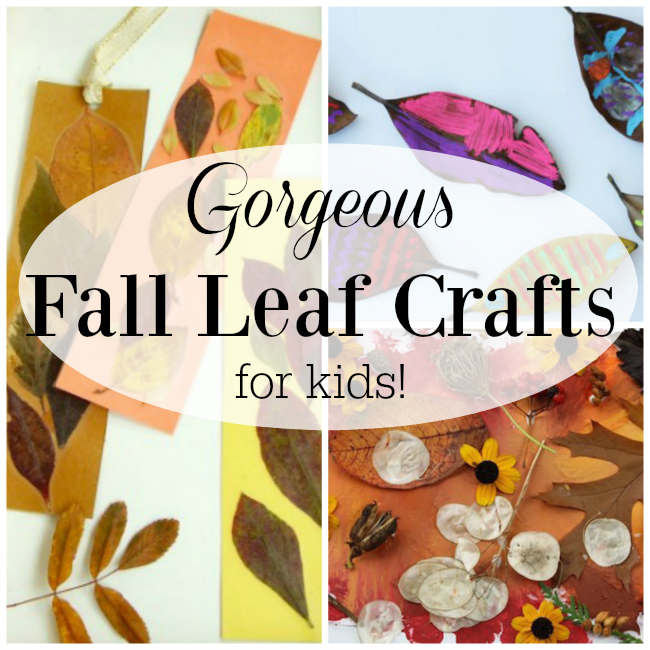 DIY Leaf Luminaries from Kids Craft Room – Make luminaries with beautiful fall leaves, and no glue! 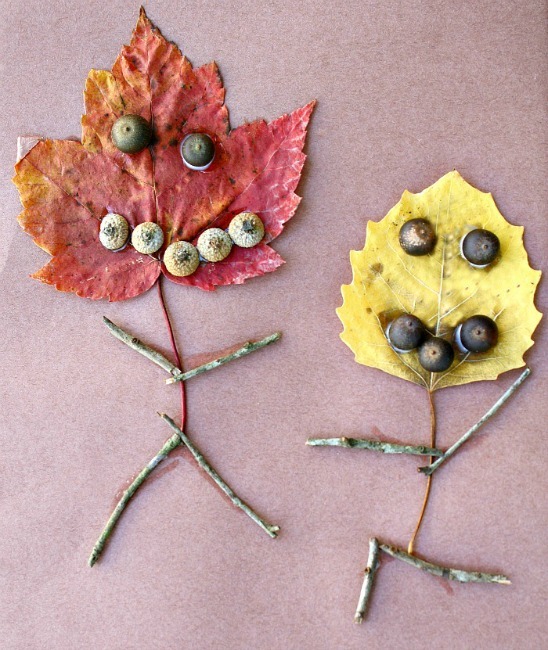 Leaf People Fall Craft from Fantastic Fun and Learning – Use leaves and other natural items to create people and animals. 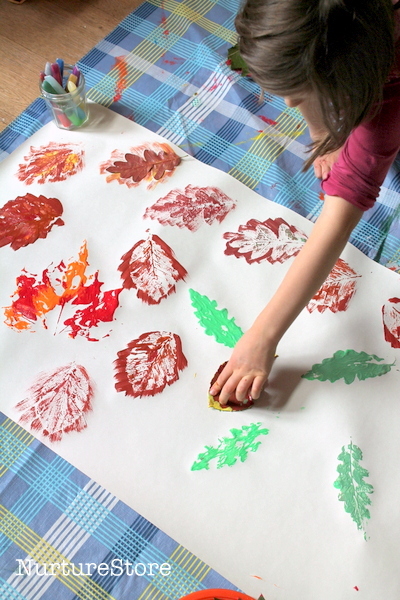 Autumn Leaf Prints from NurtureStore – Bring leaves back from a nature walk and experiment with mixing colors to match them. 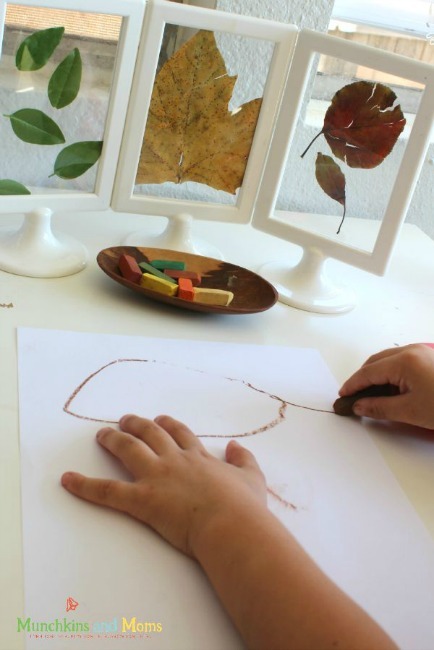 Invitation to Draw Fall Leaves from Munchkins and Moms – A simple and beautiful artistic invitation for the kids. 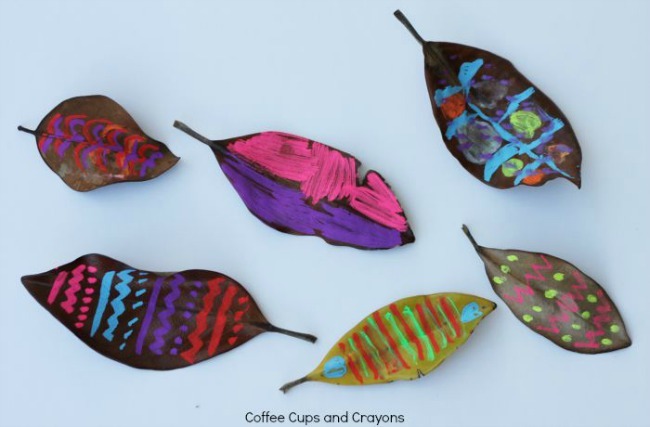 Leaf Chalk Art from Coffee Cups and Crayons – Little artists can decorate found leaves, then showcase their art in the house windows. 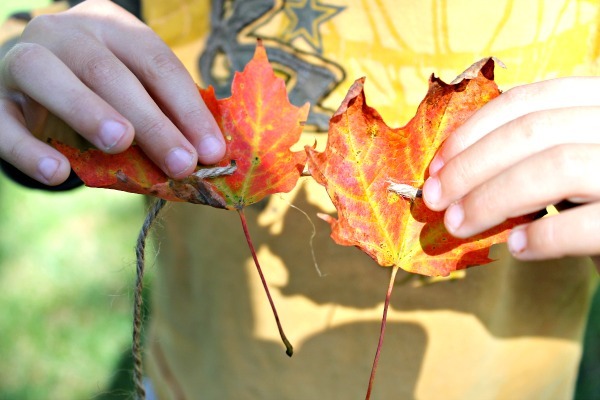 Toddler-Made Fall Collage from Happy Hooligans – Toddlers (and older kids, too!) can explore colors with no-mess painting. Once that’s done, it’s time to add the leaves! 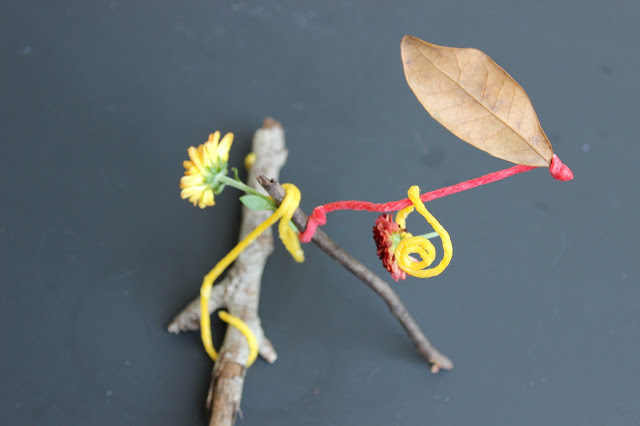 Fall Leaf Lacing from Rhythms of Play – Grab some leaves, a hole punch, yarn, and a needle. 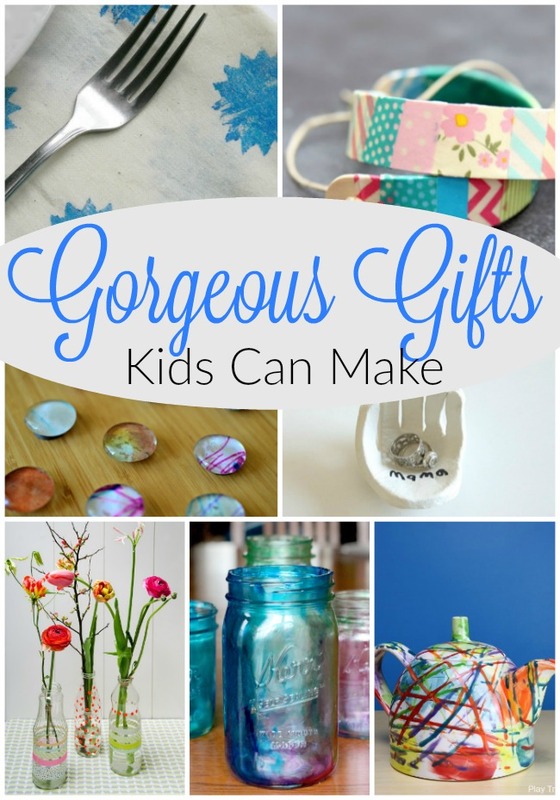 Kids can practice sewing and other fine motor skills with this simple activity. 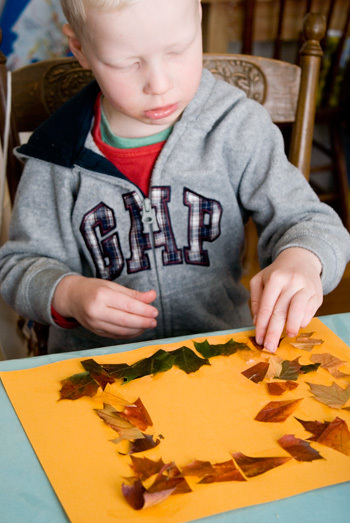 Leaves Math Activity from Pre-K Pages – Grab those fall leaves and use them for a variety of math activities. Count, sort, make patterns, and compare the leaves. Autumn Leaf Mosaic Collage from Picklebums – Cut fall leaves into small mosaic pieces and create a collage. 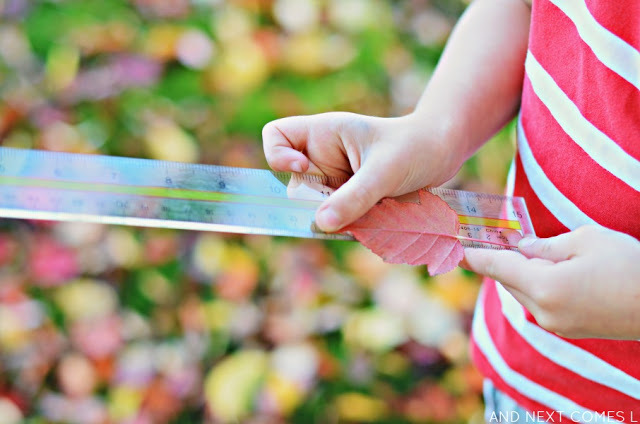 Measure Fall Leaves from And Next Comes L – Use a ruler to explore fall leaves and measurement skills. 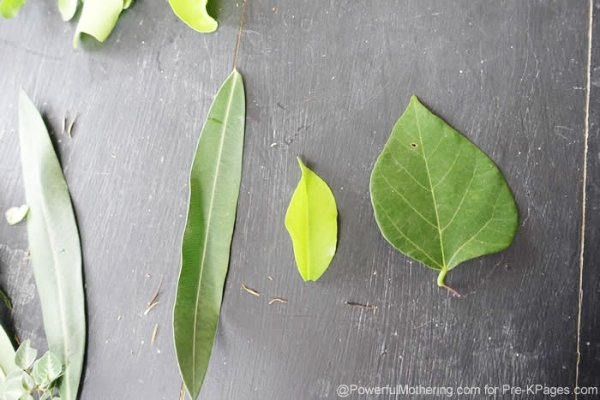 Extend the activity even more by measuring each other using the leaves. 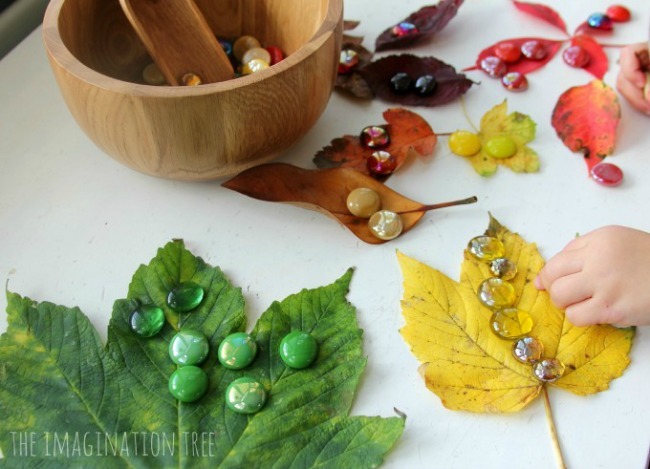 Autumn Leaf and Gems Colour Sorting Activity from The Imagination Tree – Compare and contrast leaf colors, then use the leaves as sorting mats for colourful glass gems. 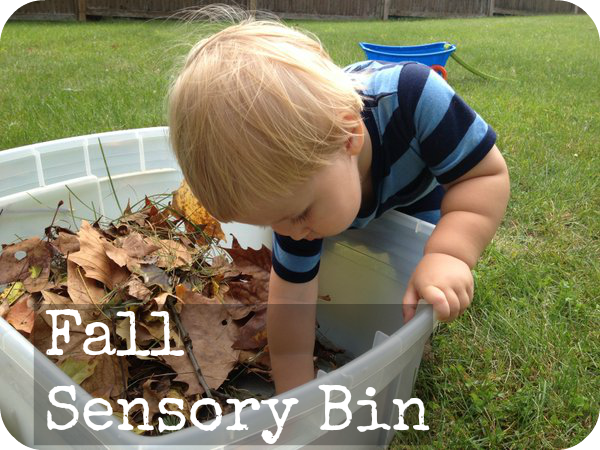 Fall Sensory Bin from The Pleasantest Thing – Let the kids pretend to be squirrels and scavenge for hidden acorns in this nature sensory bin. 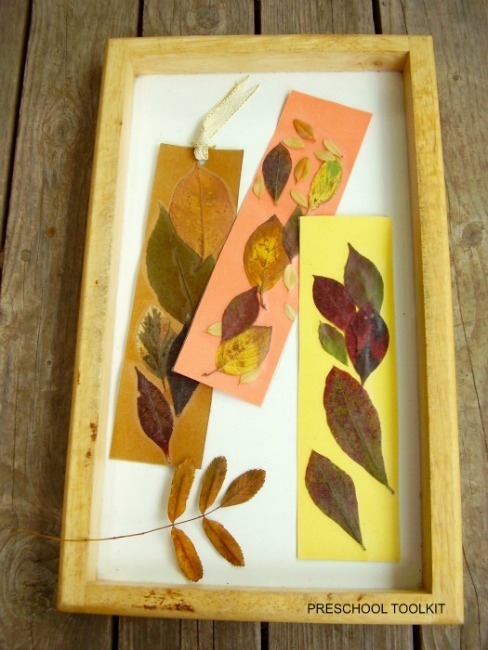 Fall Leaves Bookmark Craft from The Jenny Evolution – Book-lovers will enjoy using their homemade leaf bookmarks throughout the fall. 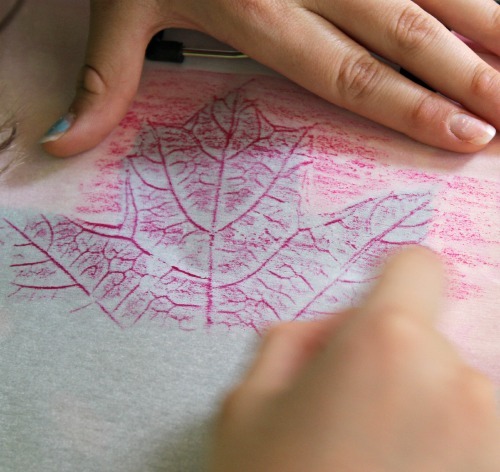 Leaf Rubbings from KC Edventures – This traditional fall leaf activity has been a hit with kids for years and years. 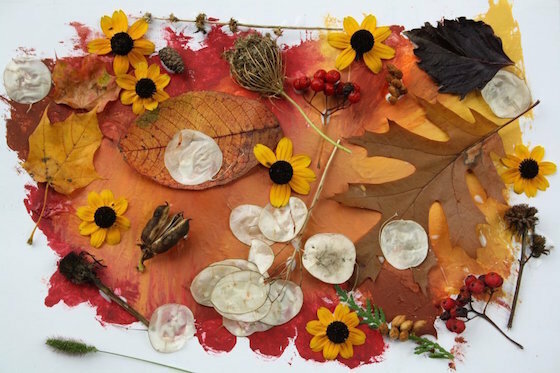 Explore colors and textures while creating beautiful fall art. 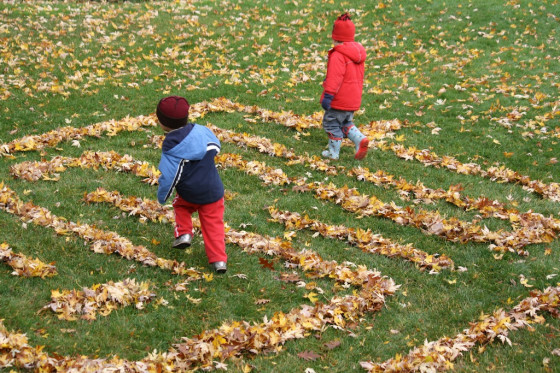 Leaf Maze from Happy Hooligans – What an idea! Turned those raked leaf piles into a maze for the kids to puzzle through. Can I tell you a secret? As much as I dread winter, I really do love the Fall. I am actually pretty excited about the coming months. But I will try to slow down and enjoy these last few weeks of summer. Because they will certainly fly right by … and as I said, I am really trying to be less of a flyer. I hope you are having a lovely week friends. Thank you very, very much for reading.